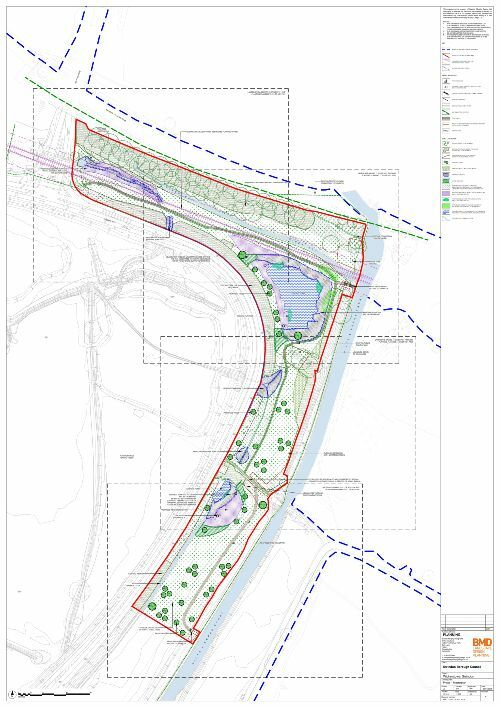 A planning application has been submitted by Swindon Borough Council for landscaping improvements to the area of green space between Peglars Way and the existing Wilts and Berks Canal. The ponds and surrounding habitat in this area support both great crested newts and water voles and the improvements will help ensure these species continue to thrive at Wichelstowe. The proposals include 48 larger standard trees, over 700 smaller trees and shrubs and over 6000 aquatic and marginal plants. The application includes improvements to the footpaths through the area to improve the surfaces and try and prevent some of the large puddles which make the paths difficult to use in the wetter months. Improvements to connectivity will be introduced with new stepped accesses to the canal towpath complementing the sloped access which will remain at Beavans Bridge. The Ash trees that were removed earlier in the year will be repurposed into benches and find new homes alongside the new footpaths.